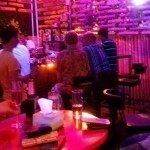 The Bluesclub is a well established Gay Massage in Chiang Mai Land. Latest images related to Blues Club. Click on any thumbnail to see full image. 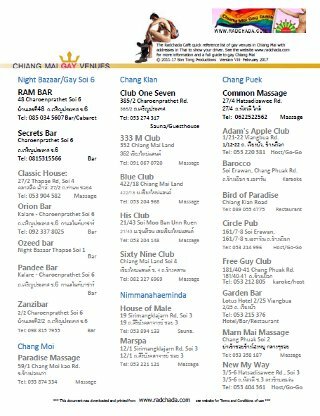 Male Massage for Men by Men in Gay Chiang Mai – This article is an update on the Chiang Mai M2M massage scene and provides our top recommendations for where to get the best of those elusive Happy Endings down at the Old Rub and Tug. It’s August and it’s raining! It’s that time of year again in Chiang Mai, rainy season! After an above average rainfall in July we’re now in August, usually one of the wettest months. Time then for a quick update on life in gay Chiang Mai, and where to go on a rainy night. 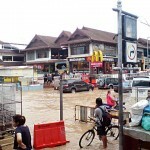 Chiang Mai – Update – the floods have gone! Gallery of images related to Blues Club Click on any thumbnail to see the gallery. Note: images may cover various related topics depending on what article they appeared in and may not be specifically about the Tag in question.